Real verified customer reviews of Ooma Telo. Used a competing VOIP service for ~ 18 years, but the cost increased to the point it wasn't an economic advantage compared to either major player phone service or alternatives such as Ooma.. As a relatively recent Ooma convert (~3 months) am finding the service quality to be every bit as good, and we use several convenient features, including texting home phone activity remotely, and calling via the Alexa and Google Voice interfaces. The installation was a drop-in replacement of former equipment with the Ooma device, and porting my phone # was easy to initiate and completed within a few days. My system is hardwired, but I bought the wireless adapter ('dongle') to be ready for migration to wireless and connecting cellular devices in the future. If I was starting from scratch, I'd be using the Ooma wireless phones and other connected devices. 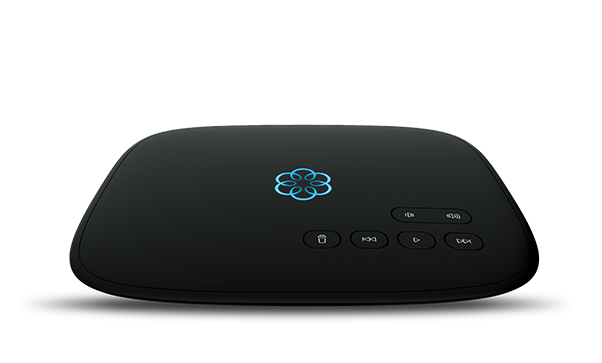 I have been using Ooma telo for one month and I am satisfied with its performance. i ported my landline number ti Ooma and it only took four days for the porting. It works as expected and I will recommend it as I can use it with any ISPs in case I switch my providers. Overall the system is good; however, our kids cannot call my wife's cell and one other cell number. I reported this and they had me check if my wife had our Ooma phone blocked and it was not. switched from ComCast to OOMA when we cut the cord. Transfer of phone number took about a week - not bad since OOMA had said 2-3 weeks. System works well although we now have to dial 10 digits where the ComCast only need 7 for our local area. Sound quality is good - haven't tried intermittent fax as yet but do not expect any issues. Did have to talk with OOMA staff during install to get it properly configured. We were afraid to cut the cord. The ease of set up, the quality, and features made me feel that we had moved from a rotary phone to an iPhone. I having been singing "Ooma's Praises " everywhere. Great advance. First off, I the Telo that I chose to use is the older model 1 device. While it has it's design issues, it does have certain useful features which have been omitted in the second generation Telo. Things that I find useful such as line 1 and 2 indicators to show which line is in use. With regard to the service, I had problems with outbound calls that would not go through and wrong numbers being connected to. It took about a week and a dozen calls to customer service, tech support and ultimately engineering before the issue was resolved. It turned out to be a problem with the service provider that OOMA contracts with for the Voip interface. OOMA apparently deals with only a couple of different providers and I wound up with the problem one. On the positive side, while they weren't able to correct the issue quickly, they did stay with it until it was fixed. Glad it worked out in the end as I do enjoy the feature set of OOMA such as the caller white list which has completely eliminated the telemarketer problems completely. We had a few problems when we started the installation. We needed to understand instructions better, but once we got everything working we love OOMA. We love the sound quality and also the caller ID and the ability to make long-distance phone calls across the United States. Our credit card companies, insurance companies now use voice recognition. We have had no problems. The system works. Happy to have my phone number back! OOMA allowed me to get my phone number of 43 years back after my life burned up in the Camp Fire of Paradise on Nov.8,2018. Means a lot to me, small sense of normalcy at this tough time. I got my Ooma set up a few weeks ago and got my number ported over and it works fine. I have called Ooma a few times to make sure I was setting everything up right. I'm a little slow sometimes, but Ooma would assure me I was doing the right thing. Every time I called I encountered a wonderful person at the end of the line. Thanks so much. So happy about the expeditious move from Magic Jack to Ooma. Now I have great quality calls AND my old number too!